Something like an Abel Ferrara take on Jim Jarmusch&#146;s Night On Earth, 3 A.M. is an interesting attempt at a movie, which fails because it overstuffs itself. There are at least four plots here, each one jockeying for attention and distracting from the others. One story would have been better served as its own movie; another should have been excised entirely. Still, there are solid moments, a lot of them, and they come at a steady pace&#151;the movie never drags. The action centers around a failing New York taxi company. The owner, Box (Sarita Choudhury) is struggling to keep it alive, but she&#146;s hemhorraging drivers because there&#146;s a maniac out robbing and murdering them. In one story line, she is struggling to come up with cash to bail the company out of its latest financial hole; at the same time the screenplay follows the stories of three drivers. 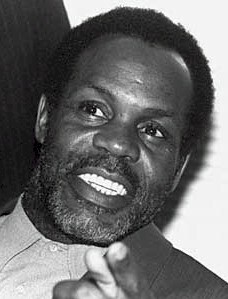 The first is Hershey (Danny Glover), an ex-basketball player who&#146;s trying to keep his relationship with waitress George (Pam Grier) afloat, even though she wants him to get a safer job. She&#146;s constantly trying to fend off the advances of Ralph, a construction worker played by Paul Calderon (probably the most underrated member of this cast&#151;his work is fine and subtle). This plot is somewhere between solid and stolid; it&#146;s familiar working-class-drama territory, but Grier and Glover have the faces and the life-mileage to pull it off. This movie isn&#146;t totally incoherent&#151;most of the stories get some kind of resolution, however tacked-on or slapdash they may seem (particularly the Rasha plot, which uses a ridiculously nonchalant hit-and-run as its catalyst and then almost literally goes nowhere). Rodriguez’s story could have been fascinating and suspenseful, had it been given 90 minutes to develop. The abuse and trauma of her childhood have driven her insane, and she believes a passenger she’s picked up is the Devil. (All that’s really wrong with him is some unfortunate facial hair.) But the childhood trauma, just like the hit-and-run and the robberies/murders, isn&#146;t revealed with anything like impact. Director and writer Lee Davis hasn&#146;t quite figured out how to build drama. Plot points just sort of lumber into view, shuffle from foot to foot, and then lumber offstage again, and the viewer never quite cares. 3 A.M. makes you feel like you&#146;ve been up all night yourself&#151;too bad its bleary, too-exhausted-to-make-sense feel wasn&#146;t intentional.